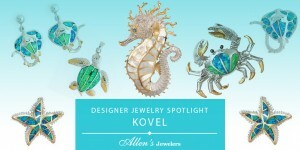 Allen’s Jewelers has a vast selection of unique designer jewelry for Moms with exquisite taste. A member of our Team will help you find a gift that helps express how you truly feel about the special Mother in your life for Mother’s Day. 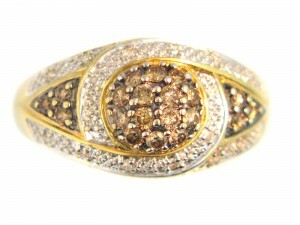 Juno Lucina is the only diamond jewelry brand solely dedicated to commemorating a woman’s journey through motherhood. Juno Lucina® has become the most meaningful symbol for cherishing proud moms. Meira T. jewelry is designed for women by a woman. Meria has a passion for jewelry design that first appeared when she was a child. From developing her own earthy and serene gold color, to the sophistication, elegance and trend that drives her collection today, Meira’s jewelry transitions well from day to night, allowing women to feel beautiful all day long. Galatea jewelry inspiration comes from nature. From the pleasant hypnotic effect of watching ripples spread on a pond after you toss a pebble into the water to admiring the perfect beauty of the spiral design on a seashell, to the happiness in a child’s eyes as they watch a butterfly frolic in a garden, Galatea draws inspiration from natural beauty. Cherie Dori jewelry celebrates the natural love that speaks from within. “I start with words,” says Nelly Cohen, jewelry designer for Cherie Dori. “The lyrics prevail the design. 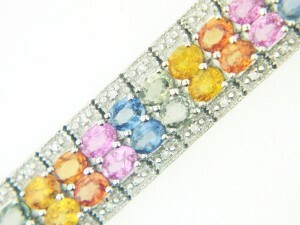 When I hear the rhythm I know a winner is born.” Follow your heart with a jewelry design by Cherie Dori. 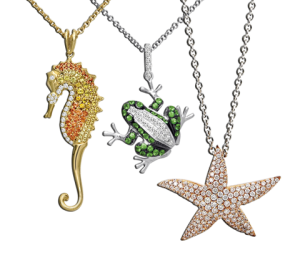 Frederic Duclos is an award winning French designer of delightful high-quality contemporary sterling jewelry, sterling and 14 karat gold combinations of jewelry, and marvelous gifts. Using luscious pearls, natural stones, exotic materials, and hand textures, Frederic Duclos jewelry offer you wearable art pieces with lasting value. Charles Garnier Paris is an elegant and tasteful jeweler which redefines contemporary jewelry basics through the use of the latest technical innovations and constant care for creating perpetual harmony. Le Vian remains in the forefront of colored diamond spotlight by creating the most elegant natural fancy color diamond jewels, in a delightful spectrum of colors including yellow, pink, and their exclusive Chocolate Diamonds. What would Mother’s Day be without chocolate? 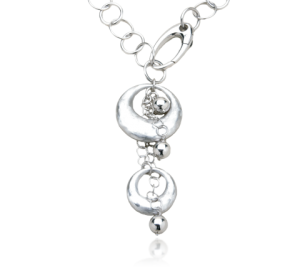 Sterling Silver jewelry– Allen’s Jewelers offers a dazzling variety of expertly crafted Sterling Silver jewelry. In captivating shapes and styles, with and without sparkling gemstones, we feel sure that our Allen’s Jewelers Team will be able to show you the Sterling Silver jewelry that Mom has her heart set on. Colored Gemstones– Whether you are looking for children’s birthstone rings, colored gemstone necklaces, colored gemstone earrings, or another beautiful piece of jewelry, our Allen’s Jewelry Team can help you find a beautiful and memorable gift for the special Mother in your life.